Permission to come aboard! 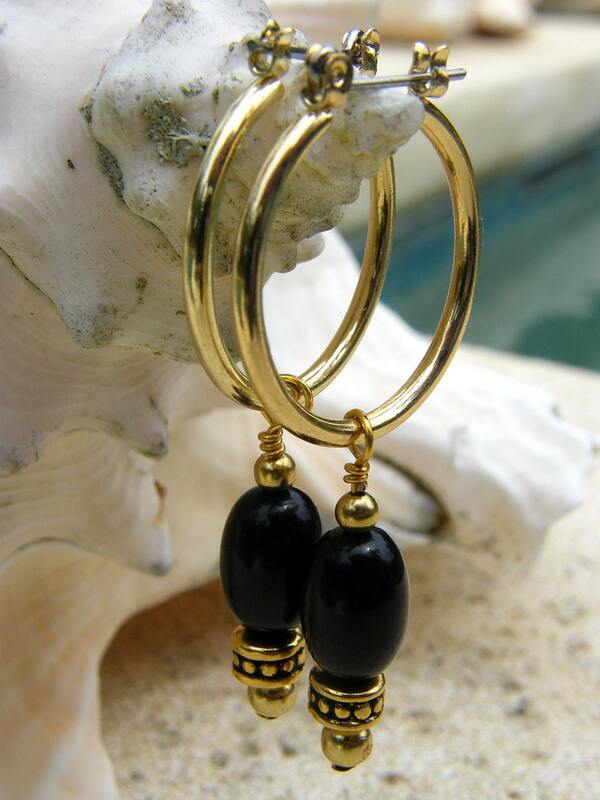 These earrings are vintage black onyx beads repurposed with vintage gold spacers and hypoallergenic hoops. Blackbeard would have given this swag to his favorite lover... Zelda.